Sutton Life Centre is a unique, state of the art educational and community facility in South London promoting good citizenship, personal safety and the environment. Our award winning Life Skills Tours for KS2 and KS3 equip pupils with the skills and knowledge they need to be able to make safer, healthier and more informed life choices. 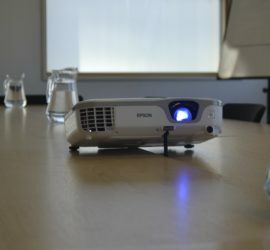 We have a number of air-conditioned meeting rooms for all of your corporate needs, from meetings and training sessions, to events and conferences. Our all weather polymeric surface football pitch is perfect for five-aside and little league bookings, and includes use of floodlights, changing rooms and showers. Gosto Fino sells a range of teas, freshly ground coffees, fruit smoothies, milkshakes, sandwiches, paninis, cakes, and snacks, as well as catering for meetings and events. Become a Community Garden Volunteer and help us create a space that can be enjoyed by local residents, visitors and wildlife, and encourages everybody to take part and take pride! We are home to a modern public library which provides books, talking books, free WIFI and Internet access, and is open to the public 7 days a week. Check availability for our Life Skills Tours using our online calendar and book a visit. Find out more about our room hire options for meetings, events, training and parties. Our friendly team of staff are always happy to answer any questions you may have. Sutton Life Centre is a unique, state of the art educational and community facility in South London promoting good citizenship, personal safety and the environment. We have a range of facilities all under one roof, including a modern public library, outdoor climbing wall, multipurpose sports pitch, meeting room facilities, media lab, eco-garden and our award winning Life Skills Zone for school visits aimed at Year 5/6 and 7/8 pupils. We are also a member of the Safety Centre Alliance (SCA) – a collection of Safety Centres located across the UK which work together to share knowledge and best practice. Sutton Life Centre is owned and managed by the London Borough of Sutton. Sutton Life Centre acts in part as a local community hub and library, but also as a regional educational facility. 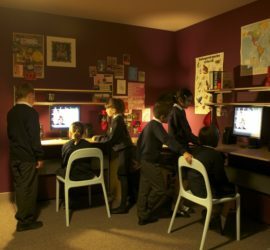 Our Life Skills Zone teaches pupils in primary (Year 5 and 6) and secondary (Year 7 and 8) about safety, citizenship and the environment using the latest cinematic technology. Part movie set, part learning experience; the Life Skills Zone truly is the world’s first super classroom. For further information about the Life Skills Zone and organising a visit for your school, please see our School Trips page. The Sutton Life Centre is located adjacent to the A217 (Reigate Avenue) on the junction with Sutton Common Road. We have a free car park to the rear of the building which can cater for approximately 20 vehicles. 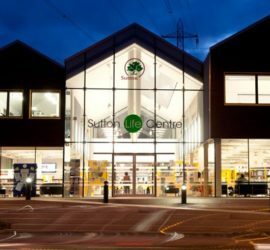 The Sutton Life Centre is conveniently located only a short walk from Sutton Common Rail Station. The 80 and 470 bus routes also provide links to the centre – the nearest bus stop is Glenthorne High School.